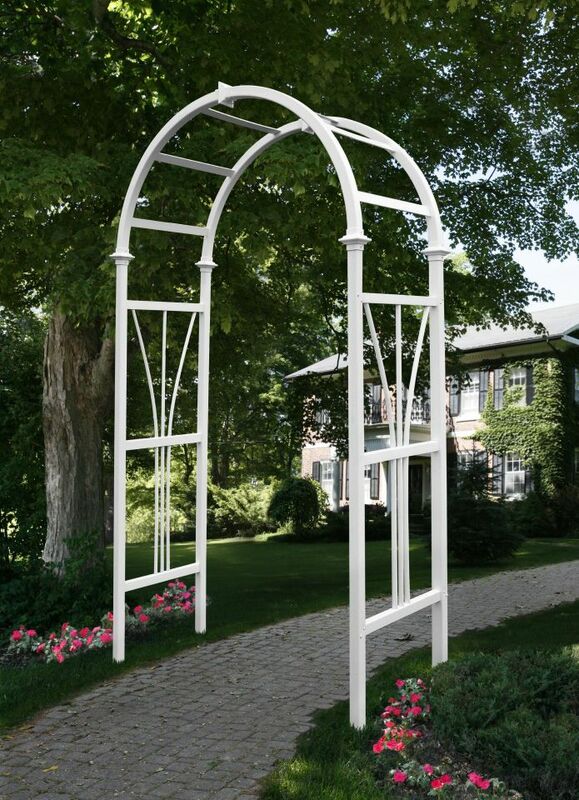 Dublin - Glen Allan Pillars Inc.
With a contemporary look and tasteful sensibility, the Dublin Arbor will make yours a yard of distinction. 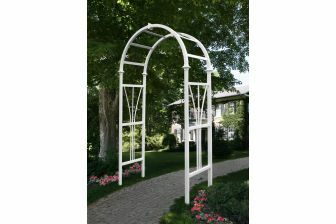 The Dublin Arbor provides an impressive entrance to a yard or garden. Made of premium weather- resistant vinyl, it’s virtually maintenance free. 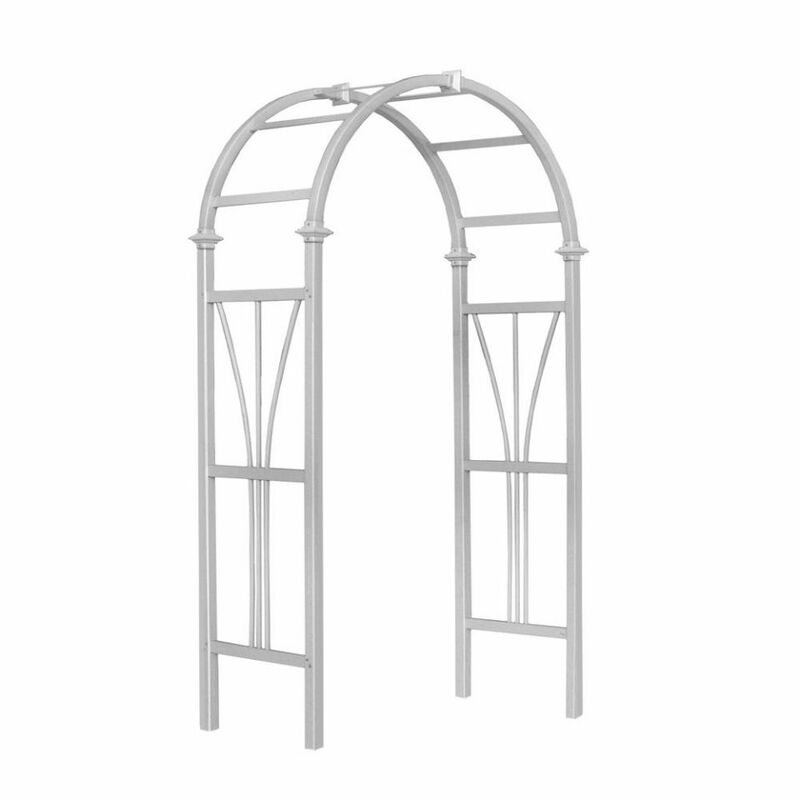 You’ll never stain, paint, or maintain your arbor again! We manufacture all of our products to create the look of wood without the traditional maintenance. In other words, you get the classic look of wood without the headaches. Just the occasional rinse with a garden hose is all you need to do to keep your arbor looking great year after year. We back this up with a 20 year warranty against yellowing, warping, cracking, and rotting.